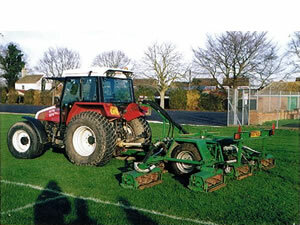 Good sports field maintenance is essential in today's world, with more land being sold for housing, good sports surfaces are hard to come by. 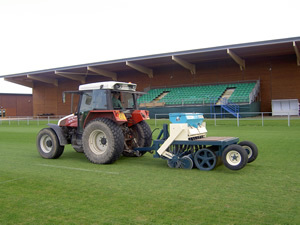 With a good maintenance program, we make sure there's always a good surface to play on, whether it be for the local football, rugby or cricket team, where a good surface can make a lot of difference. 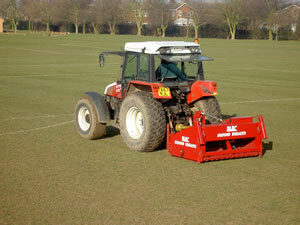 earthquaking relieves compaction in soil, which aids the drainage and allows the roots more air to grow.